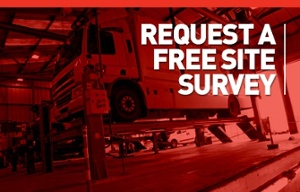 The heavy duty Four Post lift from Totalkare is the ideal solution where a fixed position for lifting operations is needed and the flexibility of mobile vehicle lifts is not required. 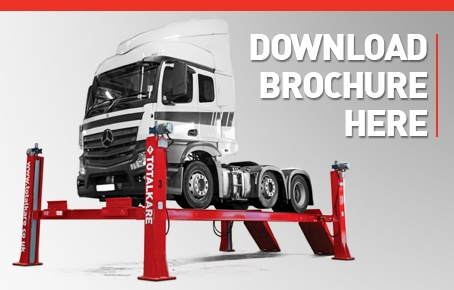 Available in a range of capacities from 16,000kg – 33,000kg and platform lengths of 7m – 18m the Four Post lift from Totalkare is suitable for lifting most types of commercial vehicles. For ease of use the Four Post lift is available as surface or recessed mounted and is available with drive on/drive through options. The Four Post lift also comes with the option of being supplied fully galvanised the lift can be used in external or wash bay applications if required.